New technologies have enabled us to collect massive amounts of data in many fields. However, our pace of discovering useful information and knowledge from these data falls far behind our pace of collecting the data. Data Mining: Theories, Algorithms, and Examples introduces and explains a comprehensive set of data mining algorithms from various data mining fields. 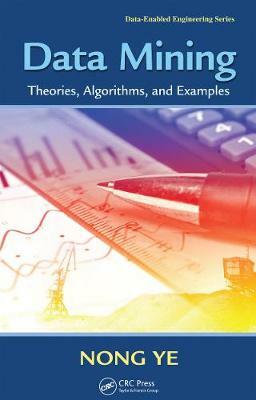 The book reviews theoretical rationales and procedural details of data mining algorithms, including those commonly found in the literature and those presenting considerable difficulty, using small data examples to explain and walk through the algorithms. The book covers a wide range of data mining algorithms, including those commonly found in data mining literature and those not fully covered in most of existing literature due to their considerable difficulty. The book presents a list of software packages that support the data mining algorithms, applications of the data mining algorithms with references, and exercises, along with the solutions manual and PowerPoint slides of lectures. The author takes a practical approach to data mining algorithms so that the data patterns produced can be fully interpreted. This approach enables students to understand theoretical and operational aspects of data mining algorithms and to manually execute the algorithms for a thorough understanding of the data patterns produced by them. "... provides full spectrum coverage of the most important topics in data mining. By reading it, one can obtain a comprehensive view on data mining, including the basic concepts, the important problems in the area, and how to handle these problems. The whole book is presented in a way that a reader who do not have much background knowledge of data mining, can easily understand. You can find many figures and intuitive examples in the book. I really love these figures and examples, since they make the most complicated concepts and algorithms much easier to understand." "... covers pretty much all the core data mining algorithms. It also covers several useful topics that are not covered by other data mining books such as univariate and multivariate control charts and wavelet analysis. Detailed examples are provided to illustrate the practical use of data mining algorithms. A list of software packages is also included for most algorithms covered in the book. These are extremely useful for data mining practitoners. I highly recommend this book for anyone interested in data mining." "This is an excellent book for graduate students, professionals, or consultants who want to learn the different methods of data mining. The template that the author used: theory, example, software, references are very effective and efficient in conveying the general idea. The detailed examples are extremely helpful."